Situated behind the Tiree Lodge Hotel, and accessed by the same road, are the ancient chapels of Kirkapol. The larger of the ruins, which dates back to the 14th century, is the former parish church and was dedicated to Saint Columba. 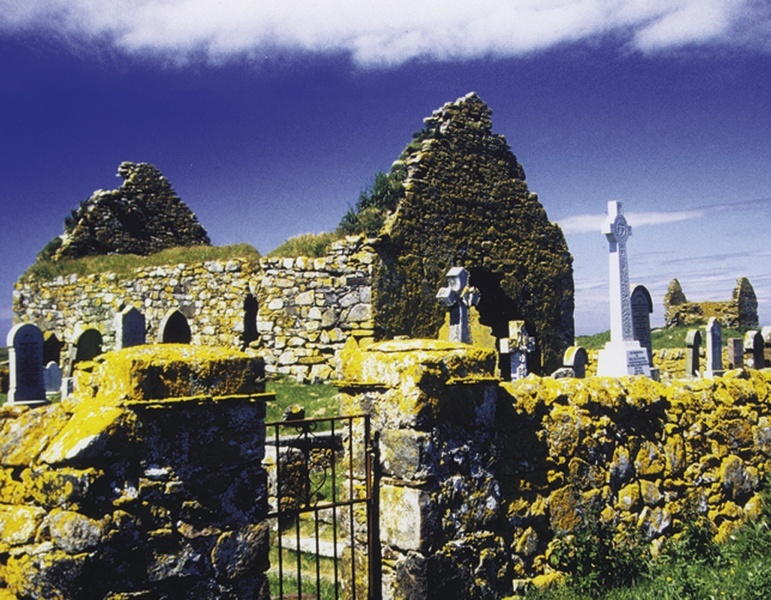 The smaller ruin was also dedicated to Saint Columba and dates from the 13th century. The larger chapel stands in its own graveyard and there are many ancient interesting burial stones still visible.